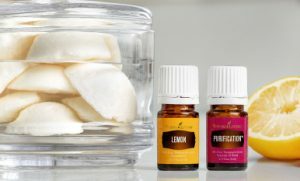 YL tip: To get your freshener out of the measuring spoon, tap the spoon lightly on the counteruntil the contents slide out. Be careful! The mixture hasn’t dried yet, so it might be fragile. Big kitty on my deck!